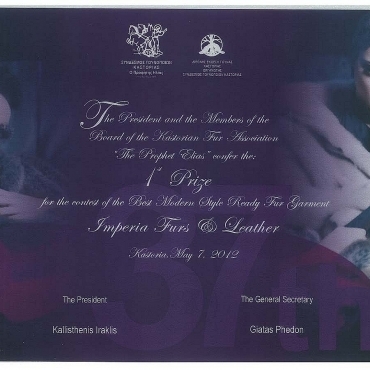 With emphasis on Greek fur manufacturing tradition dating back to the 14th century and the importance of continuous innovation, Imperia Furs & Leather is an international award-winning fashion brand that stirs emotions due to the uniqueness of its quality, variety, versatility, craftsmanship, and design. Customers looking for classic beauty, extreme luxury and very modern styles choose Imperia Furs & Leather. The brand offers revised classic, innovative shapes, trimmings and material mixes in a wide colour palette. 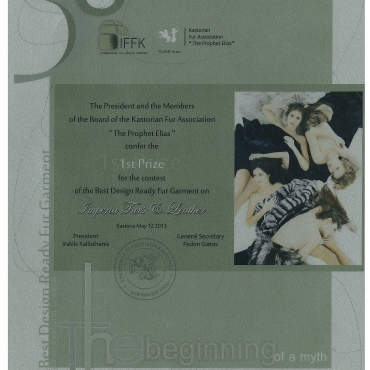 In addition, the brand provides a ‘double guarantee’ to its customers by supplying pelts of top quality labels such as Blackglama (USA), NAFA (Canada), Saga (Finland), and Kopenhagen Fur (Denmark). Moreover, a number of carefully selected retailers have been classified as “Imperia Furs & Leather Certified Retailers”. 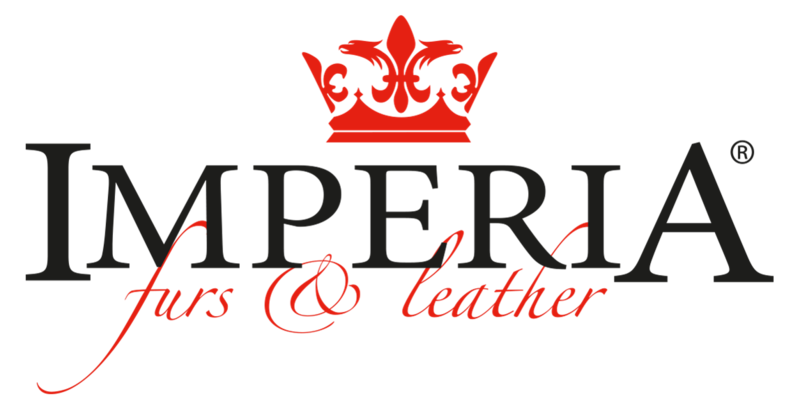 The classification basically means that these retailers are involved in a partnership with the brand and hence offer genuine Imperia Furs & Leather garments made in Greece. Nonetheless, customers should beware of imitations! The central showroom of Imperia Furs & Leather is open in a 4-storey facility located in Paralia Katerinis, featuring around 2000 innovative designs, which are renewed on a regular basis. 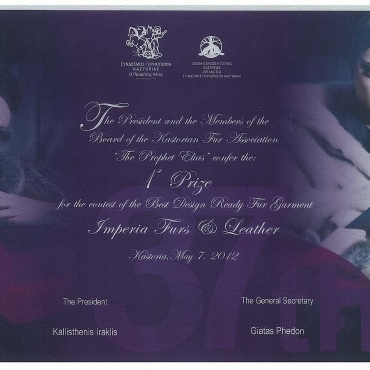 While, all fur coats are produced in Kastoria. 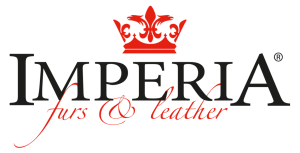 When you choose Imperia Furs & Leather you can’t go wrong as you opt the finest in the market! 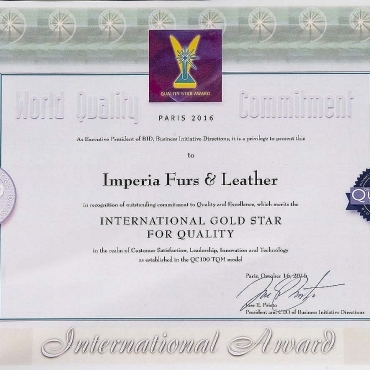 For the world-renowned quality of its products, its excellence as a strategic marketer and merchandiser of its fur coats, and its high-levels of customer satisfaction and loyalty, Imperia Furs & Leather received the World Quality Commitment Award in the Gold Category at the BID Quality Convention in Paris. 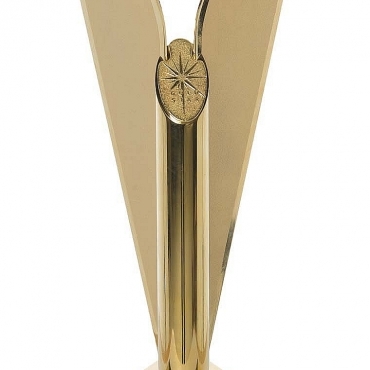 Being the only furrier to be awarded the International BID Quality Award. 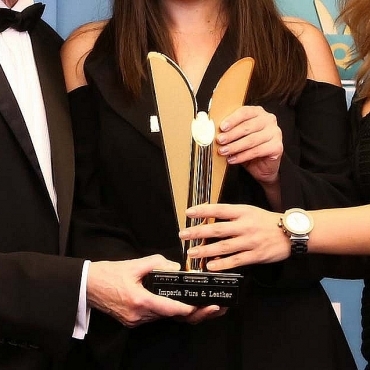 During the 38th International Fur Fair of Kastoria, the accustomed Exhibitors’ Competition took place, and Imperia Furs & Leather was awarded with two prizes: 1st prize for the fur coat with the best design and 3rd prize for the fur coat with the best modern style. During the 37th International Fur Fair of Kastoria, the accustomed Exhibitors’ Competition took place, and Imperia Furs & Leather was awarded with three prizes: 1st prize for the fur coat with the best design, 1st prize for the best modern style, and 2nd prize for the Best Stand of the exhibition. 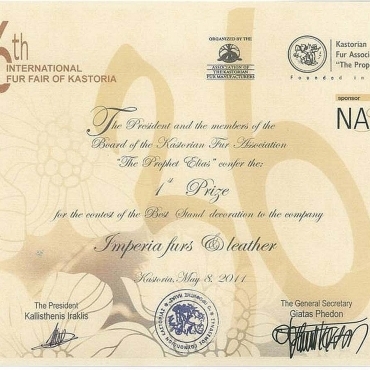 During the 36th International Fur Fair of Kastoria, the accustomed Exhibitors’ Competition took place, and Imperia Furs & Leather was awarded with three prizes: 1st prize for the Best Stand, and two prizes for the fur coat with the best design and the best modern style.